Enjoy viewing the stars with your naked eye. WASHINGTON (AP) - The National Air and Space Museum is opening its first public observatory for its big crowds on the National Mall to view the sun, moon and planets. Actually, probably not the moon. 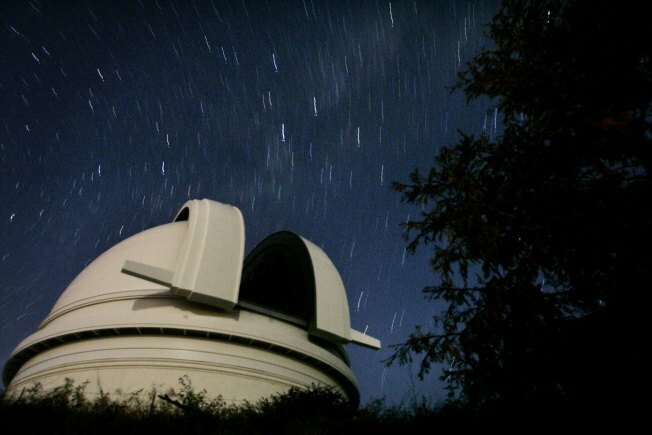 A 22-foot dome houses the telescope, on loan from the Smithsonian Astrophysical Observatory in Massachusetts. The telescope was previously used for research at Harvard University. The public observatory opened today and will be available Tuesdays through Sundays from 10 a.m. to 2 p.m. Yes, during daylight. You could probably use it to peer into corrupt senators' offices, or see what the Cosi in Rossyln is serving today. OK, so actually there are several different things viewers can see during daylight, including craters on the moon, the phases of Venus and sunspots on -- wait for it -- the sun. The telescope will be the museum's focal point for the International Year of Astronomy for 2009 and 2010. It also marks the 400th anniversary of Galileo's first recorded astronomical observations. A digital-dome planetarium show, "Journey to the Stars," will open to the public Monday, Oct. 2 at the museum's Einstein Planetarium (6th Street and Independence Avenue S.W.). The show was developed by New York's American Museum of Natural History with the cooperation of NASA. Tickets are $8.75.